Hoboken, NJ – Newell Brands on Tuesday announced the company’s intention to sell or abandon its entire stable of winter sports brands by the middle of 2017, including K2, Völkl, Marker, Full-Tilt, Line Skis and Ride Snowboards. 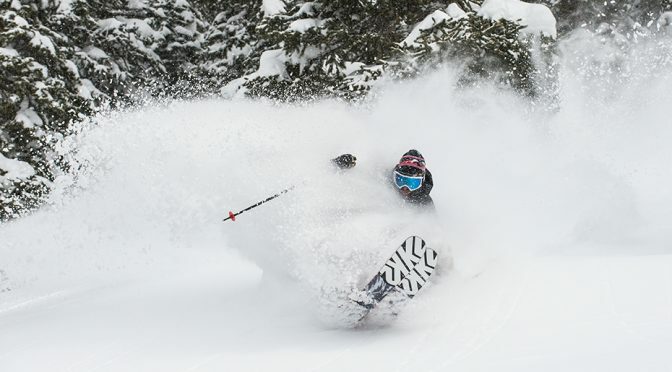 The company, which acquired some of snow sports’ most iconic brands in a merger of Newell Rubbermaid and Jarden earlier this year, has given itself less than a year to sell its portfolio of Winter Sports businesses within its Outdoor Solutions Segment, which also includes brands such as Coleman, AeroBed and Abu Garcia, which Newell will retain. The writing appeared on the wall shortly after the Newell Rubbermaid and Jarden consolidation. Michael Polk, Newell Brands Chief Executive Officer, said then that he would refocus the company’s direction and divest itself of under-performing brands. Earlier this fall, K2 surprised the ski world by severing its ties with big mountain skier and product design contributor Seth Morrison, among other pro athletes, leading to speculation that K2 was among the brands headed for the chopping block. The sale represents about 10 percent of the company’s operations. Going forward, Newell intends to focus on its consumer products brands, including Oster, Sunbeam and Mr. Coffee. “Newell Brands new strategic plan establishes a clear set of investment priorities, a new organization design for the company, and a sharp set of portfolio choices that will focus our resources on the businesses with the greatest potential for growth and value creation,” said Polk. At the Barclay’s Consumer Staples Conference in Atlanta last month, Polk acknowledged that some of the brands might be difficult to sell, and while he’d prefer to sell them, in the end he would simply shut them down if necessary rather than let them serve as a distraction. The sale processes are underway and the company hopes to complete the divestiture of the assets held for sale within the first half of 2017. Proceeds from successful divestitures will be used primarily to accelerate the pay down of debt. Editor’s note: Newell Brands responded to this story, denying that the company will abandon any of its winter sports brands; click here to read further.